Lucas Hedges plays Jared Eamons in Boy Erased, a film based on the memoirs of Garrard Conley's time in conversion therapy. I definitely had high expectations of this film due to the lead actors but the expectations were blown far above where I could've ever anticipated them to be. This is the second feature film directed by Joel Edgerton who also plays the leader of the conversion therapy, Victor Sykes. He handles the subject matter with great sensitivity and understanding as well as capturing the world of Jared in such a wonderful way through his cinematographer, Eduard Grau. This film traditionally falls under the Biopic/Drama genre but in parts it genuinely felt like watching a horror film. Gay conversion therapy seems like the world's best kept secret. We all know it's happening, to this day it is legal in 36 states, but the only way we see it is in glimpses through films like these. It explores toxic masculinity and deals with horrific themes in a way that made me squirm in my seat. I dare not say too much because the shock elements in the narrative are some of what makes the movie so compelling. With Desiree Akhavan's fantastic film of last year The Miseducation of Cameron Post and now Boy Erased joining alongside it, I fear for what other stories are yet to come from this disturbing human practice. I wonder if this film had been made in a further future it would've been dealt with differently. I think Lucas Hedges was wonderful and understood every inch of his role but he felt to be in parts a victim to the narrative which requires following a traditional biopic format, you're limited by a timeline that you must follow and because the story is so fresh, with the book only coming to life in 2016, I worry that the story had no time to catch a breath. There was certainly no glorification of conversion therapy but it felt like there needed to be a deeper condemnation of it. These men and women are tortured on a daily basis and I wanted to see deeper into their psychology. They are trapped in a hell together, even the leader of the therapy being gay himself and having to repress that to teach people it is wrong. Imagine having to teach others something is wrong when you yourself are struggling against the same issue? The film was nearly 2 hours long and therefore had all the space to explore this but it felt in parts like we were getting a look at a world and not individual stories which is where the magic of this story lies. In Cameron, in Gary, in Jared himself and yet I wish I had a few more moments with each character to fully feel their pain. What I found to be a major strength of Boy Erased was how quiet it was. Joel Edgerton allowed each moment to have its space to breathe and handled the more upsetting parts with the sensitivity and respect they deserved. He never once took advantage of Garrard's story and you could feel a connection to each of his characters, even the slightly more villainous ones. 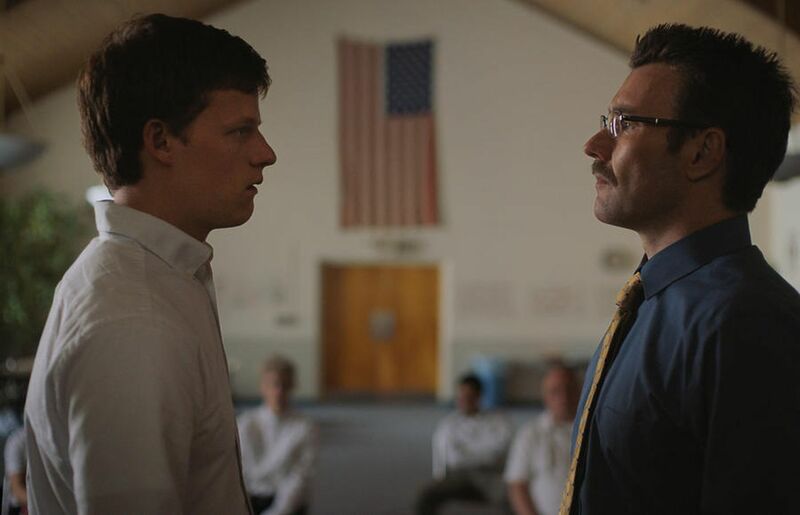 Each character in Boy Erased has a dark story that led them to where they are now and it will resonate across in the globe. 700,000 members of the LGBT community in America have been through this, not including the millions of people, I'm sure, that will have endured this pain across the world. They will find themselves in Jared, they will find themselves in Cameron, they may even find themselves in Victor Sykes. It is a battle that is still being fought and has a long way to go before it will be won. Boy Erased will be in UK cinemas from 8th February 2019. Please visit StopErasing for more information on this topic.